8M Extension Trailer Cable for the STR-IR or the Sony Camera. This Cable has 6 pin a male connector on one end and a 6 pin female connector on the other end. 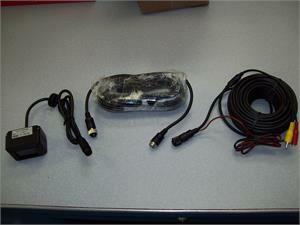 Can be used to extend cable length, or used for trailer purposes for the Trailer Camera Systems. The 8M Extension Trailer Cable is the cable shown in the middle of the picture between the camera and the 15M camera cable.